Need to quickly find the solution that’s right for you? Perform a quick search by Material, Application or Technology. Make your choice from below. To maximize the NDT process, you need the right equipment…and the right people. Combining these two things is more than just a strength of Magnetic Analysis Corporation. It’s our signature. MAC® provides instruments, systems and solutions that are recognized the world over as THE standard for nondestructive testing (NDT). At the core of our comprehensive portfolio of NDT options are Eddy Current (ECT), Magnetic Flux Leakage (MFL) and Ultrasonic (UT) testing equipment. 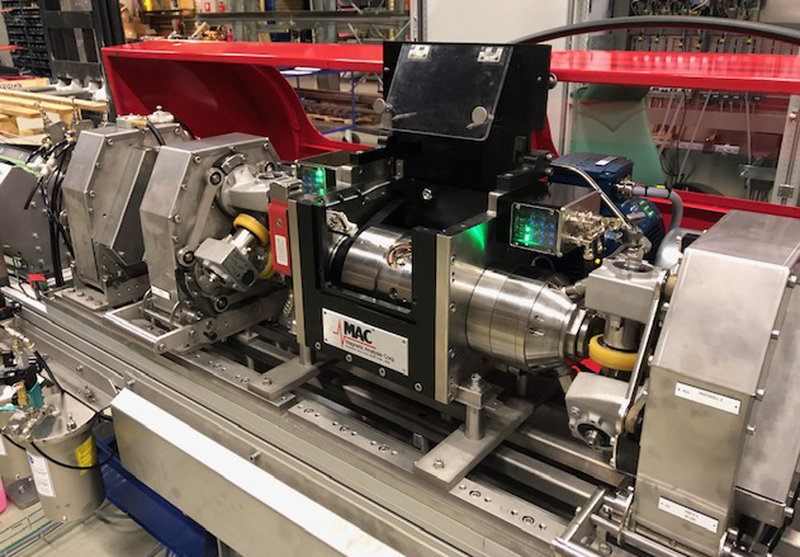 Engineers working with manufacturing and production teams routinely rely on MAC® experience to choose NDT systems to inspect flaws and defects in tube and pipe, bar, rod, wire, cable, billets and parts. Our reputation for high-caliber performance and accuracy is recognized throughout the Oil Country Tube and Pipe (OCTG), Heat Exchanger Tube, Petrochemical/Nuclear, Medical, and Automotive Tube industries as being second to none. What truly sets us apart is our focus on 100% customer satisfaction. We partner with you to determine what your real needs are and what equipment is right for your project, then configure the product solution that will work best for you. MAC® also has the unique ability to provide quality service throughout most of the world. The MAC® global network provides a team of industry experts, highly trained engineers and seasoned field representatives who can understand your testing needs. These team members, trained in accordance with ASNT requirements, are always available to answer your questions and offer suggestions regarding calibrations, upgrades, installations and staff training. At MAC®, the science of innovation is a critical priority. Recent breakthroughs include the Echomac® Phased Array Test System, the Rotoflux® AC Flux Leakage Tester, the 20mm Rotomac® HS Rotary and the UT Test for Spinning Tube. In addition, our Remote Pre-Acceptance service now enables you to view and approve full operation of your new system from the convenience of your office, which helps to eliminate scheduling conflicts and reduce travel expenses.